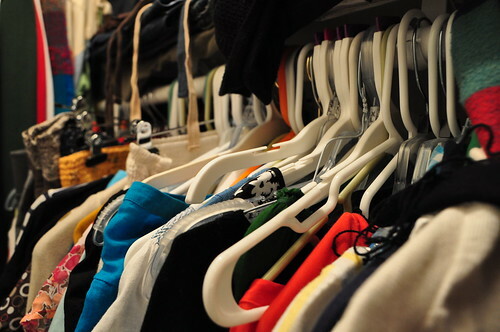 The Uptown shopping district in Victoria is holding its first-ever Fashion Swap event and, while a shopping centre may not be the first place you’d think of finding gently used clothing, Uptown saw the Fashion Swap as a great opportunity. Not only does the swap support sustainable consumerism, Uptown is raising funds for breast health by donating funds to The BC Cancer Foundation. When: Tuesday, May 22nd, 6 – 9 p.m.
How Much: Tickets are being sold at Uptown’s guest services for $20 each and include a $10 donation to The BC Cancer Foundation, a $10 Uptown gift card and free on-the-spot makeovers including hair, nail and face treatments! What: Before May 19th, participants are required to bring ten lightly-worn or even brand new brand name items. Once the clothing is sorted, this will equate to over 3,500 items to hunt through for the perfect piece! The evening also includes music, tapas and and outdoor party to celebrate the clothing swap. Click here for tips on what – and how – to swap clothes and maximize your finds! For more information on Uptown, visit them online, become a fan on Facebook or follow them on Twitter! Thanks for posting this. I didn’t know about it and I am definitely going to grab some tickets!